Hi! I’m Ben Weissenstein. I’m an entrepreneur grinding towards my dreams. I’m not there yet, but I’ve made good progress and had all sorts of crazy ups and downs along the way. Check out my blog which I’m updating each week. 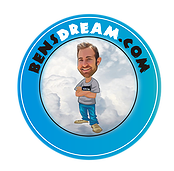 Also, feel free to browse through the site and if you want to contact me for whatever reason, my email is ben@bensdream.com.